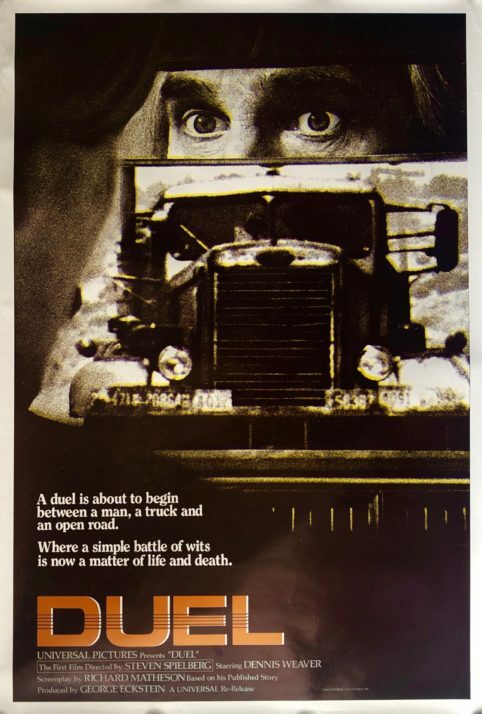 Originally a 1971 made-for-TV “Movie of the Week” thriller in the United States, Steven Spielberg’s feature-length film debut “DUEL” was so successful it was later released in theatres across Europe and in the UK. One of the ultimate ‘car-chase’ films and rightly regarded as a classic of the genre comparable to “Vanishing Point” & “Bullitt”. 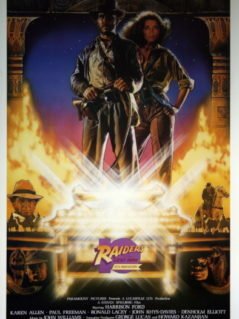 The original 1983 US one sheet movie poster offered here is from the 1983 release and displays and presents to excellent effect with some eye-catching all action ‘Killer Truck’ imagery unique to this release. 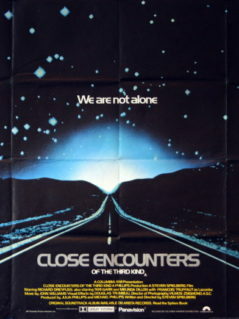 Originally rolled (as issued) this scarce and desirable unrestored film poster is is a fine example of rare and collectible original movie memorabilia from a hugely influential film of the early 70’s. Trivia: Steven Spielberg stated that he approached this movie in the manner of a Toho monster movie, replacing Godzilla with an 18 wheeler Peterbilt tanker truck. Gleefully sadistic little thriller. Though the young Steven Spielberg‘s hand is evident in many places (the economic storytelling style, the visual wit), the film’s tone probably owes more to screenwriter (and ‘Twilight Zone’ veteran) Richard Matheson. The story has all the itchy paranoia of Matheson’s best work, with Dennis Weaver‘s fussy little city man confronted by Tex-Mex suspicion at best, and relentless, illogical horror at worst, as he travels from one oasis of civilisation to another for an important meeting. “Duel“ is essentially a city-slicker’s nightmare, concentrating collective fears of wilderness and the mad souls who choose to dwell there. But at the same time it lightly satirises those urbanite attitudes, and Weaver’s Mann is often made to look laughable, with his silly necktie, and his little Plymouth Valiant, and his prissy, civilised approach to his problem. Spielberg revels in the black comic elements of Matheson’s narrative, and the result is the perfect suspense/thriller tone–one never knows whether to laugh or scream. If the story lags a bit towards the end, and if the conclusion is rather a simple one, the film is still a model of economy and tone, and it features one of the most memorable villains in suspense-film history…one that weighs forty tons.